This 2 day course aims to familiarise the new user with the principles of discrete analysis and instrument components using the bench top analyzers. The practical aspect of this course covers the software features, routine operation, explanation of Test Flows and their effect on range and limits of detection, through to results reporting, database management and basic troubleshooting. This 1-day course is designed for new GC users and presents the fundamental theory and principles required to work competently with a gas chromatograph. The course introduces the basic GC theory, hardware and software to enable the user to perform their own analyses and routine maintenance. This 1-day course is designed for new GC-MS users and presents the fundamental theory and principles required to work competently with a single-quadrupole GC-MS system. The course follows on from the prerequisite “GC Fundamentals 1” and introduces users to the world of mass spectrometry. This 2-day course is designed to help users who are new to HPLC or for those who want to enhance their theoretical understanding. Practical aspects of HPLC are also covered, such as the general setup of HPLC systems, instrument control, routine maintenance and practical tips to improve system performance. 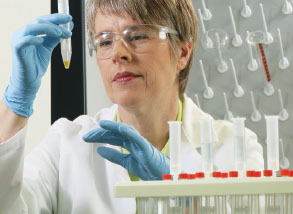 This 2-day course introduces basic Ion Chromatography theory and practice. It is designed to ensure operators are able to perform their own analyses and routine maintenance, and have an understanding of each component of an IC system and its function. Having the right skills and knowledge to use your software in the most efficient and effective manner is imperative. This 1-day hands-on course has been designed for chromatographers who are new to the Chromeleon Chromatography Data System or for existing users who require refresher training. The topics covered include - Getting started, General navigation, Basic sequencing and programming, Basic calibration, Manual and automatic instrument operation, Collecting data and Data processing. This 1-day intermediate course is suitable for experienced Chromeleon users, or as an extension to the prerequisite Level 1 training. The topics covered include - Advanced sequencing and programming, Building and managing eWorkflows, Report writing and editing, Queries and System suitability testing. This 2-day course covers the essential aspects of instrument operation using the Qtegra software. Both the theoretical and practical elements of ICP-OES are covered and will enable the user to perform their own analysis and routine operation.